A contentious debate has arisen in the Palo Alto Unified School District over the advantages and drawbacks of including weighted grade point averages on student transcripts for college applications. While administrators at both Palo Alto High School and Gunn High School have spoken in favor of adopting Supt. Max McGee’s proposed district-wide policy of reporting unweighted GPAs only, many students and parents have vehemently argued against it, on the grounds that such a policy disadvantages students for certain merit scholarships and represents an infringement on student freedom. On Tuesday night, the Board of Education passed a motion to change the GPA reporting practice for the Class of 2017 at both Paly and Gunn – seniors who are currently in the midst of the college application process. For the mid-year report that will be sent to colleges, both the unweighted and weighted GPAs will be recorded on transcripts. At first glance, this may seem like a simple solution; reporting weighted GPAs eliminates any risk, however infinitesimal it may be, of a student being disadvantaged for scholarships. Additionally, weighted GPAs will emphasize the AP and honor classes that students take and supposedly give them the appropriate credit for challenging coursework. But what is ostensibly a straightforward solution will in reality open up a Pandora’s box of other issues, and we urge community members to critically consider the long term repercussions. To begin, the practice of reporting weighted GPAs will almost certainly reinforce the excessively competitive academic culture that has become associated with Palo Alto. Weighting GPAs will encourage people to take AP- and honors-heavy course loads, at the expense of regular lane and/or elective classes. Furthermore, since Paly and Gunn offer far more weighted STEM classes than humanities and social science classes, the practice of reporting weighted GPAs in effect diminishes the value of non-STEM courses. And alarmingly, reporting weighted GPAs is just a step away from ranking students, either formally or in a de facto manner, because weighted GPAs make it far easier to delineate between students’ GPAs. The programs that board members have touted as examples of educational innovation, such as Advanced Authentic Research, the Social Justice Pathway and the journalism program, as well as performing and visual arts classes, will likely see declining enrollment as a result of the GPA decision. When forced to compete with peers and choose between programs that will add to their overall high school experience or boost their GPA, many will choose the latter. Additionally, the recording of weighted GPAs on transcripts could exacerbate another dogged problem in our district: the achievement gap. Only relatively wealthy students will be able to afford the outside tutoring for honors and AP courses, or off-campus instruction that allows them to accumulate more weighted credit, creating an even larger chasm between the privileged and the underserved in our community. The concern about the practice of weighting GPAs harming our most vulnerable students isn’t a hypothetical one; it is very much grounded in anecdotal evidence. Because most weighted GPA methodologies do not take into account classes such as Living Skills and Physical Education, students who have earned high grades in those courses but have struggled in academic core classes may have lower weighted GPAs than unweighted GPAs. At the board meeting on Tuesday night, Paly Principal Kim Diorio reported that the administration has identified approximately 50 Paly students for whom this is the case. These students are disproportionately ethnic minorities, come from low-income families and have Individualized Education Programs. Weighted GPAs also present a whole host of logistical issues and unnecessary confusion. For the updated reports that will be sent out to all schools students have applied to early, in addition to the mid-year reports that will be sent out for the Class of 2017, Paly will adopt the UC/CSU methodology to calculate students’ GPAs, while Gunn will be sticking with the algorithm it has been using for the past several years. Though board members claimed they prioritized standardizing practices between the two schools, their proposal doesn’t even address the problem: there is still a disparity between Paly and Gunn. And if the schools were to continue weighting students’ grades, what weighting methodology would they employ? Would they use the UC system, which doesn’t consider many underclassmen honors classes for weighted credit and caps students to a maximum of eight semesters of weighted courses? Or would they devise another methodology, that would ultimately be arbitrary because colleges recalculate GPAs on their own? This is just a small sampling of the never-ending stream of questions that would arise. Though we are concerned about the effects of this decision on our school climate, we would like to emphasize that current seniors should not be concerned about the change in GPA reporting practices affecting their chances for college applications. College admissions officers across the nation will unequivocally say that your transcript is considered within the context of your high school, and obviously, a Paly student’s unweighted GPA is not being compared, from a purely numerical standpoint, with another applicant’s weighted GPA. At the most recent school board meeting, proponents of weighted GPAs presented evidence that seemed to show that students with weighted GPAs receive a boost in college admissions. But those sources are misleading, because information was selectively cherry-picked. And significantly, our college counseling professionals and various admissions officers have told us the complete opposite: they state that high schools’ GPA reporting practices do not have bearing on students’ chances for acceptance. In addresses to the school board, some people have mentioned the scholarship opportunities that students will be deprived of if the district does not report weighted GPAs. We strongly believe that the district should do everything in its capacity to help students procure financial aid. However, it is nonsensical to use merit scholarships as a justification for changing the GPA practice because administrators have yet to find a college that will not accept a letter vouching for a student’s weighted GPA in place of it on a transcript. In the case of a Paly student missing the GPA cutoff for a merit scholarship at the University of Oregon because her unweighted GPA was reported, Kim Diorio contacted an admissions officer at Oregon and resolved the issue; the student is now eligible to receive the scholarship. 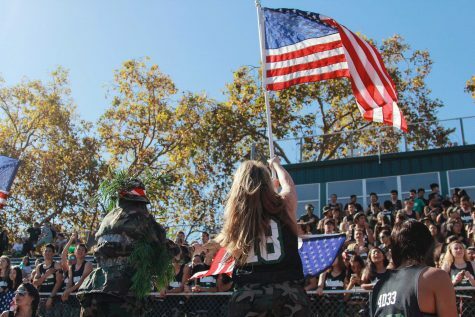 According to Diorio, the admissions representative did not want Paly to change its GPA reporting policy for one student, and as such, Oregon has agreed to accept letters from Paly and Gunn administrators vouching for weighted GPAs. Lastly, many in the pro-weighted GPA camp have said that reporting unweighted GPAs de-incentivizes students from challenging themselves academically. But this cannot be true, because many people at Paly and in general have taken difficult class loads knowing full well that only their unweighted GPAs will be reported to colleges. What reporting weighted GPAs could do, however, is compel students who aren’t prepared for or interested in the content of AP classes to take them, and further contribute to a hyper-competitive academic atmosphere. The choice to report weighted GPAs is a drastic one, and likely irrevocable; we believe it will be near impossible to revert to the old system if the district elects to formally adopt reporting weighted GPAs. Suffice to say, we are deeply disappointed with the board members — who have run on platforms of promoting student wellbeing — for ignoring the recommendations of professional educators and proceeding with a motion that has the potential to increase stress among the student body. The extremely abrupt school board decision also failed to follow previously established norms of evaluating both sides of the issue prior to making tangible changes. 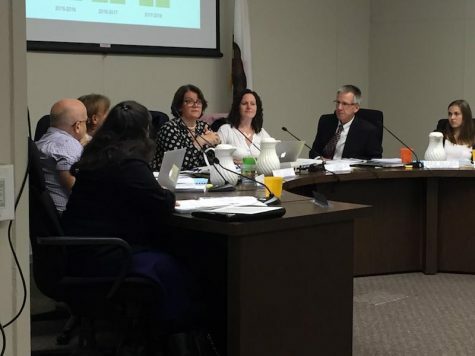 In the past, PAUSD has spent months forming committees, fostering discussion and reviewing board reports when making a decision affecting students. It is shocking that the board did not follow the same procedure in considering the GPA issue — what should have been a thoughtful and comprehensive evidence-gathering process became a rushed political maneuver to satiate the demands of an aggressive lobby. But while this hasty short-term proposal has been agreed on for this year’s senior class, it is not too late for the district to reevaluate this decision and thoroughly examine the consequences that this will have on the culture of Palo Alto high schools for years to come. We’ve worked so hard, for so long, to fundamentally address the issue of student stress across Palo Alto schools. We take great pride in our community but far too many of us have felt the effects of a suffocatingly competitive environment that overemphasizes academic achievement and contributes to a reduced sense of self-worth. The practice of reporting weighted GPAs is a multifaceted issue that has the potential to affect our school culture — and it certainly deserves more than the cursory consideration it received.